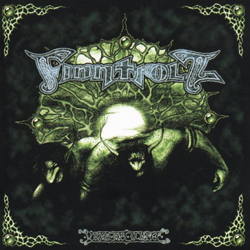 Finntroll is a band from Finland. They combine black metal and Finnish polka, called humppa. 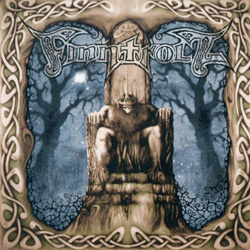 Although it is a Finnish band, Finntroll's lyrics are in Swedish, because Swedish just sounds "damn trollish", according to the band's first vocalist, Katla (whose native language is Swedish). Swedish is the second national language of Finland, along with Finnish. 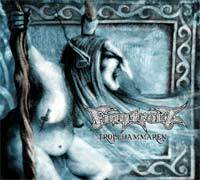 Finntroll was founded in 1997, by Teemu "Somnium" Raimoranta, guitarist of Impaled Nazarene, and Jan "Katla" Jämsen. Their first demo, Rivfader, was recorded about a year later, in 1998. After the demo recording, the other members of the band, Samu Ruotsalainen (from Barathrum, Shape of Despair and Rapture), Samuli Ponsimaa, Henri Sorvali (from Moonsorrow) and Sami Uusitalo joined the band. 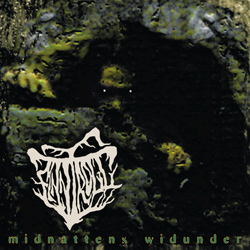 The record label Spinefarm got interested in the band then, and made a contract, yielding the album Midnattens Widunder (English: The Beast of Midnight) (1999) as a result. 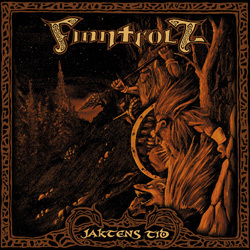 The next step for Finntroll was the album Jaktens Tid (English: The time of the Hunt), which was released in 2001. This album managed to climb to rank 20 of the Finnish album charts, exceeding expectation of band and publisher alike. The following wave of popularity attracted the attention of Century Media, which began promoting Finntroll for the rest of the world. The following summer, the band had their first time playing on open air festivals in Finland and other countries. The year after the release of the album Jaktens Tid proved to be a misfortune for Finntroll: some tours had to be cancelled, and in the aftermath of his problems, vocalist Jämsen had to retire from the band due to a viral-based tumor in his vocal cords which could not be removed surgically; he retired after the release of the album Visor om Slutet (English: Songs about the End). Said album was recorded in early January 2003, in a forest cabin near Helsinki. It was an "acoustical experiment", where Jämsen and the new vocalist Tapio Wilska (of Sethian and Lyijykomppania) shared the singing duties among them. The album was released as a mid-price album and held rank one of the Finnish midprice chart for several weeks. Shortly before the release of Visor om Slutet, Raimoranta died by falling off a bridge in Helsinki after having consumed too much alcohol, according to the official story. Two people who were with him that night revealed in an interview that he had jumped off the bridge, thus committing suicide. Finntroll didn't dissolve after losing one of their founding members, but decided to go on, touring for two weeks in Europe, supported by the group Katatonia. The guitarist Mikael Karlbom was hired as a replacement for Raimoranta. 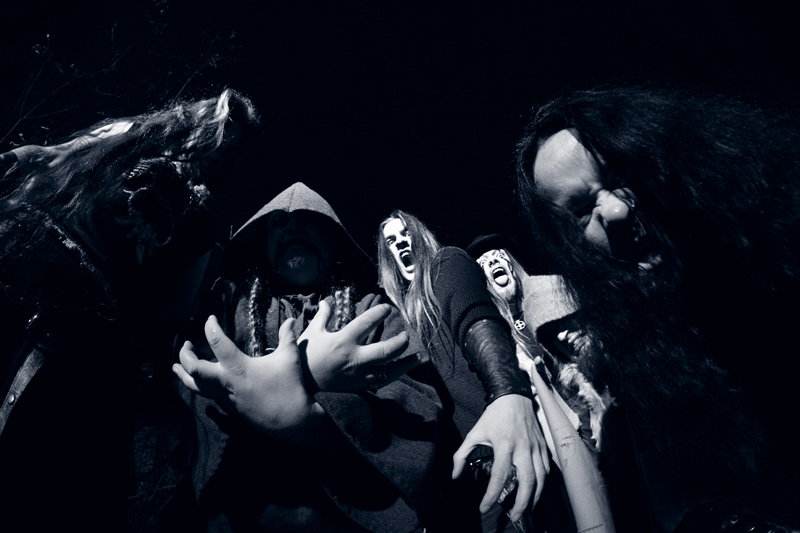 In 2004, the band released an EP, Trollhammaren (English: The Troll Hammer), and an album called Nattfödd (English: Nightborn). In 2005, as Henri "Trollhorn" Sorvali found himself too busy with his other band, "Moonsorrow", he decided to put touring with Finntroll on hold. He is still working with the band, composing etc. For tours, Finntroll decided to find a stand-in keyboard player. Since 2005, Aleksi Virta (Other bands/affiliations: Imperanon) has been touring with the 'trolls. In January 29 of 2006, Tapio Wilska, vocalist of the band since 2003, was fired from the band. In a statement issued on the band's website, Wilska states that he would like to keep the reason for his dismissal private. 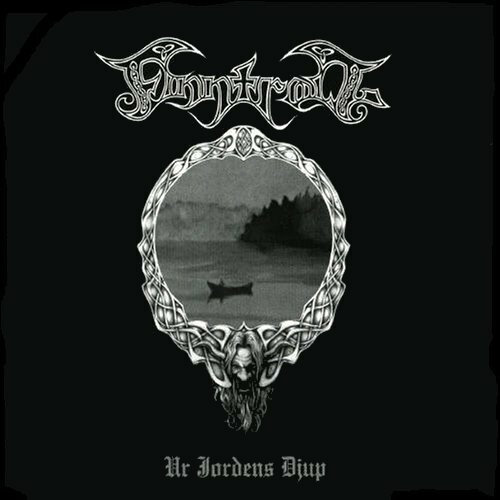 The latest Finntroll's album, "Ur Jordens Djup" was released on march 30th 2007 with a new vocalist : Vreth. The new album takes a more black-metal approach than the previous album's, heading back to the days of "Midnattens Widunder".